Mozambique Mother – Not the Quality Spa Resort Hotel, Norefjell. A rather unnerving story on the internet today about scientists in the USA (Washington) who have been able to make the thoughts of one person move the hand of another person. An experiment, using electrodes on the head of one person, and a magnetic cap on the head of the other person, proved that the thoughts of one person could be used to control another person’s movements. Frightening! 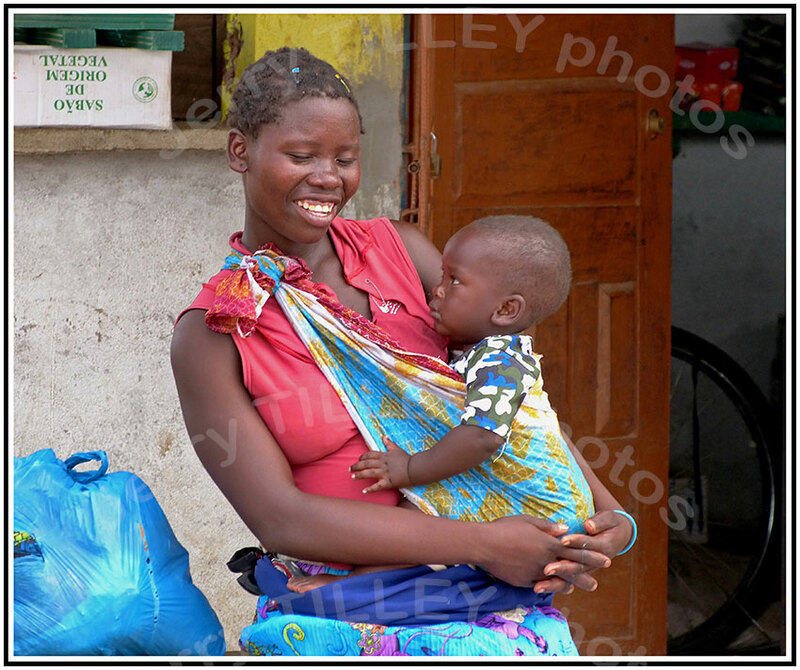 The photo today comes from Mozambique, rather a nice mother and child photo, again captured with a normal ‘consumer’ camera and not by an expensive DSLR. 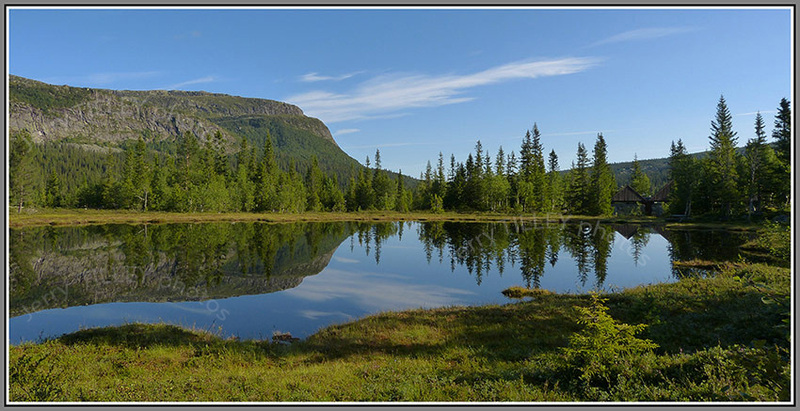 Scenic railway journey – Bergen to Oslo Norway – Not the Quality Spa Resort Hotel, Norefjell. Thought for the day….” If money does not grow on trees, then why do banks have branches? “. When we travel now, we are never really out of touch, because with internet and mobile phones, then there is always a link, even in surprisingly ‘remote’ places. In the news from Japan is a story that they are launching internet ‘fasting camps’ so that the estimated 1/2 million children in Japan who are addicted to the internet can receive help. California in the USA already has a digital detoxing resort for adults but the Japanese Education authority is now targeting children in an attempt to get them to do more activities WITHOUT internet. 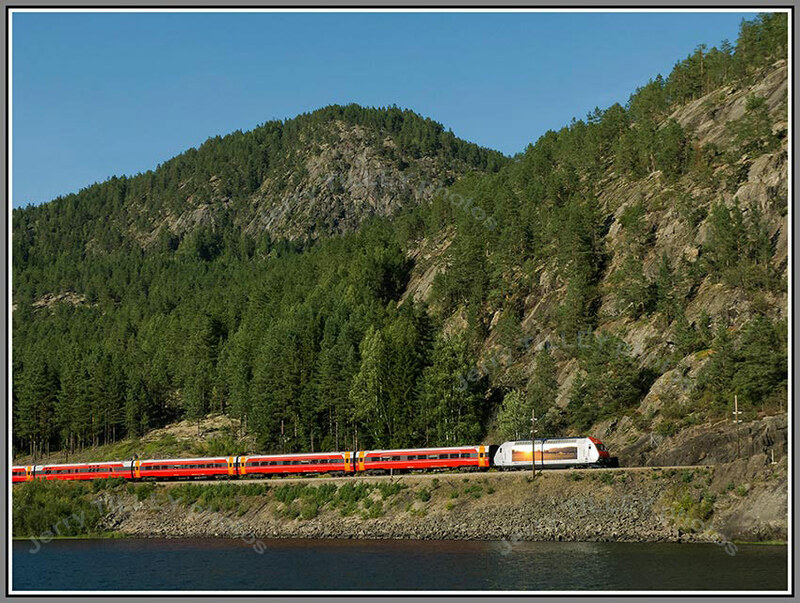 Today’s photo shows one of the great railway journeys in the world, the Oslo-Bergen line in Norway. Seen here on an early autumn day, is the train heading for Oslo, not far from the town of Nesbyen. The 493km journey crosses the Hardangervidda plateau, and reaches a height of 1222m at Finse before descending to sea level near Bergen. The newer tilting trains that were introduced on this line in 2000 are gradually being replaced by locomotive hauled trains (as in the photo) which handle the snow and conditions on the line better. Stunning morning in Norway – Not the Quality Spa Resort Hotel, Norefjell. Thought for the day……” Nothing comes easy, what comes easy means nothing and what comes hard means something”. ” There is no use running fast when you are on the wrong road”. Was it enough with Dolly the Sheep? No, because in the news now is a story about a Canadian dentist, Dr. Michael Zuk, who wants to clone the late John Lennon by using the DNA from one of his teeth. Dr. Zuk obtained the tooth at an auction in 2011, and claims that bringing ‘back’ a deceased famous person would be the ultimate expression of science. Something a little different for the photo today. Not the actual photo (a stunning morning in Norway), but the technical details of the photo. 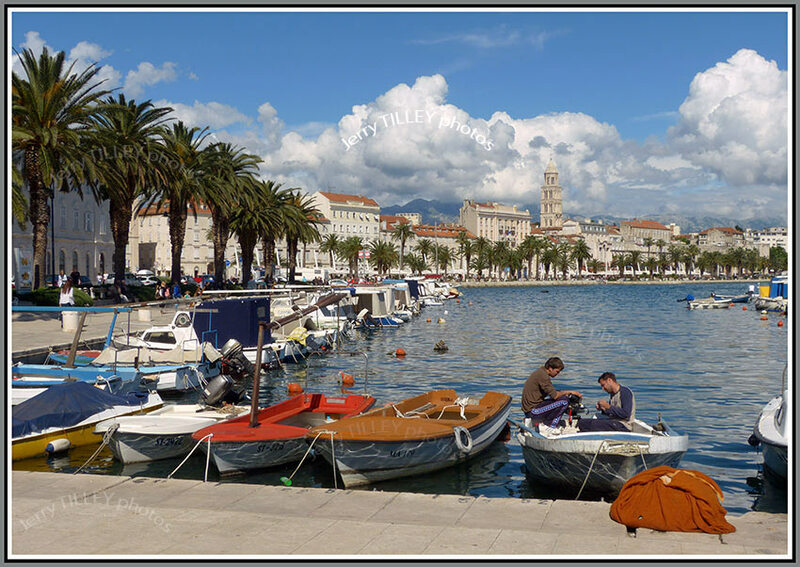 It is actually a combination of 24 individual photos that have been stitched together in a photo-editing program. This results in one VERY large file, but also one that is excellent for printing and making very large, long enlargements. Even after reducing the RAW files to JPEG, the final file size is still around 30mb, but for a view like the one in the photo, then it is wonderful to have it in such high quality. Not that this photo, large as it is, will not compete with the World’s largest digital photo, which was published in February this year. A photo of London, taken from the BT Tower, was made up of 48,640 individual photos, giving a total photo size of 320 GB. Keep taking photos!! Happy not to be working at the Quality Spa Resort Hotel, Norefjell, and not missing the managers there at all. Wood carver in Espirito Santo – Not the Quality Spa Resort Hotel, Norefjell. “If ignorance is bliss, then why aren’t more people happy?”. Another curious story in the news this time from Venezuela. Not toilet paper shortages this time making the news in Venezuela, but HAIR THIEVES. The Venezuelan president Nicolas Maduro has now promised to take action against the gangs who are stealing hair, sometimes at gunpoint, to sell to hair salons. Venezuela has one of the worl’ds highest murder rates, although official figures are not published, as well as frequent carjackings, armed robberies and kidnapping. And in Saudi Arabia, a man weighing around 610kg has been airlifted to hospital for treatment. Apparently, the man was so big that part of the apartment had to be demolished so that a fork lift truck could carry him to a military aircraft. He was flown to a hospital for treatment. Another photo from the archives, and again from the island of Espirito Santo in the Pacific Ocean. 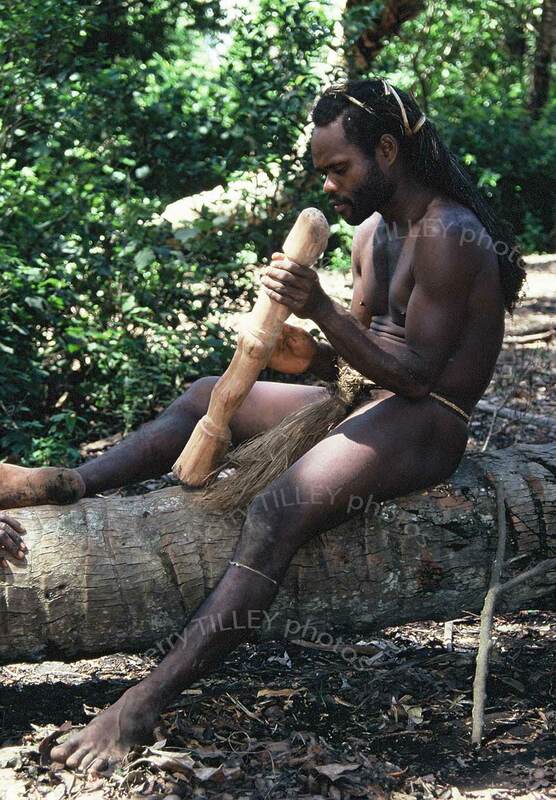 Lucky to capture a photo of this woodcarver in the forest, and lucky that the light was ok for the photo too. I wonder how much things have changed since I was last there. As usual, I wish that I had taken a lot more photos!! Early morning Norway – Not the Quality Spa Resort Hotel, Norefjell. Thought for the day….” Belief is a wish with an action plan”. ” Every day is a good day, as long as you are alive to enjoy it”. Early morning in the hills of Norway for today’s photo. Despite a poor weather forecast, for a few hours it was nearly perfect to take photos, so the camera was very busy. The clear air, sunshine and lack of wind made for great conditions for taking photos. Home to around 5 million people, and with a coastline of around 20 000km, Norway has one of the highest per capita GDP figures in the world. That also makes it one of the most expensive countries to visit, with alcohol and food being especially expensive. ‘Helgefylla’, which means ‘weekend binge drinking’ is common in the larger cities, despite the high alcohol prices and despite strong alcohol only being sold in the government-run shops. Hats off – Not the Quality Spa Resort Hotel, Norefjell. Thought for the day…..” Pay attention, it is free !” ” There is more than one door into wonder”. “If anger is your most frequently used outlet, then try unplugging it for a while”. Air France/KLM deserve to go out of business. I am still arguing with their so called ‘customer service’ for a refund of taxes on an unused ticket. Their ‘customer service’ staff clearly have no interest in trying to resolve matters, and seem intent on just annoying even more passengers. I am not surprised that Air France/KLM group is making big cutbacks. At one time, KLM used to be a good airline (probably Air France too), but not anymore. Far too few staff working in their check-ins/ground staff, and also old, tired aircraft and crews that also seem to have lost interest. Even if their fares may appear cheaper, life is too short to have unpleasant flights, unpleasant staff, and a customer service section that appears to be ANTI customers. Had Air France/KLM processed (or even agreed to the refund) in a reasonable time, then possibly more bookings would have been made with them. But their ‘customer service’ has just been so bad over the last flights that they are now no longer an option. The good thing is that some of the Eastern/Middle Eastern Airlines (for example, Qatar Airways) are FAR superior to Air France/KLM. The unhelpful replies from their ‘customer service’ have done it now. No more flights with Air France/KLM. Not just one flight that has led to this decision, but a series of poor flights and poor experiences with them. I could write a long story about some of the incidents, over many flights. Life is too short to endure the poor treatment by Air France/KLM. I hope that they are soon bankrupt. They deserve to be. 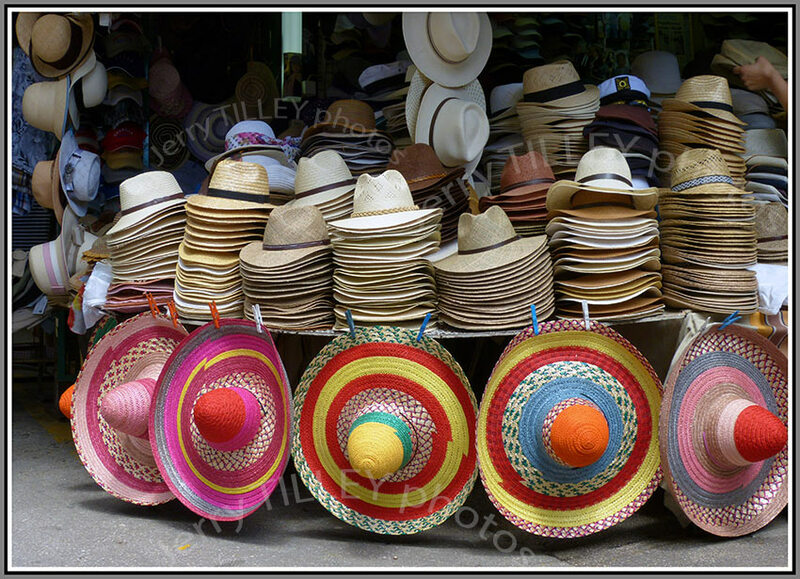 And for the photo today…..some hats on a market stall. But can you guess from which country? Carnival in El Salvador, carnival dancer – Not the Quality Spa Resort Hotel, Norefjell. Thought for the day….” Life is like a good book. The more that you get into it, the more that it makes sense”. Did you know that because the speed that the Earth is turning, that the days are getting longer, but 55 billionths of a second each day? And did you know that at the North and South Poles, that there is no time (as all the time zones coincide there)? And did you know that Nepal and also the Chatham Islands have time zones that include a 15 minute difference (UTC plus 5.45 hours and UTC plus 12.45 hours). And in each day there are 86 400 seconds. Another colourful photo today, of a woman preparing for a carnival in El Salvador. El Salvador (population 7 million) is the smallest country in Central America, and also the only one not to have an Atlantic coastline. It has some very active volcanoes, and also gets many earthquakes each year, over 12 000 people were killed in one earthquake in 2001. It also went to war with Honduras after a soccer match. Carnivals in El Salvador go on into the night, with dancing, floats, street food and lots of music, together with firecrackers and fireworks, and of course, lots of colour. A tradition is the throwing of sweets/candy to the spectators from the passing floats, and also the crowning of the carnival ‘queen’.